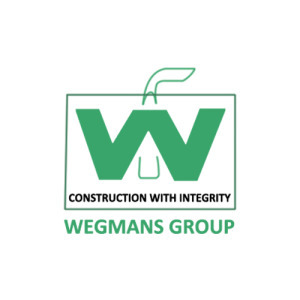 Wegmans Group comprises of a number of companies providing services in different business areas. The company has forayed into the real estate industry through Wegmans Builders and Developers Private Limited. Wegmans Builders and Developers Private Limited is one of the fastest growing companies in the real estate sector in the country today. The company is focused on developing modernized residential and commercial properties in Delhi NCR. The headquarters of Wegmans Builders and Developers Pvt Ltd are at Lajpat Nagar in New Delhi. The company places the highest value on customer satisfaction and is trusted for not compromising on its quality and high-standards. Wegmans Builders and Developers Pvt Ltd have developed a number of residential and commercial properties that stand out in the expansive skyline. Some of the projects highlighting the excellence of the company include TruStone City in Noida Extension, Sudeep Plaza in Dwarka and Corporate Homes in Greater Noida. Each project carried out by Wegmans Builders and Developers Pvt Ltd is novel in its development and presentation. The core team of the company includes architects, engineers and financers having years of experience in the real estate industry. The mission of the company is to develop top notch properties for its clients. Wegmans Builders and Developers Pvt Ltd aims to be the foremost name in the industry through developmental progress based on its core values of reliability, integrity and innovation.